This story began with the search for a modest, midcentury home in Southern California, and became an investigation into the life of a mysterious homebuilder from the mid-twentieth century. Drawn to the unique Mellenthin Birdhouse homes from his own house-hunting experience with his wife, author Chris Lukather was determined to find out more about the man behind the designs. “These homes were all around me when I was a kid, but I never noticed them until we started searching,” Chris says. After several years of research, sourcing information from real estate agents, homeowners and Mellenthin’s son, Mike, Chris found the answers he was looking for, and shared them with us. Hailing from Sleepy Eye, Minnesota, William Mellenthin arrived in Los Angeles in the early 20th century. He built his first home in 1923, and acquired his contractor’s license in 1929. Although he came upon hard times during the depression of 1929, his business, Wm. Mellenthin Builder, grew substantially following WWII. With the rapid population growth in the suburbs surrounding Los Angeles after the war, Mellenthin set his sights on the San Fernando Valley. It is estimated that Mellenthin built over “3,000 homes as far north as Santa Barbara and as far south as the Manhattan Beach-South Bay area throughout his career,” says Chris. 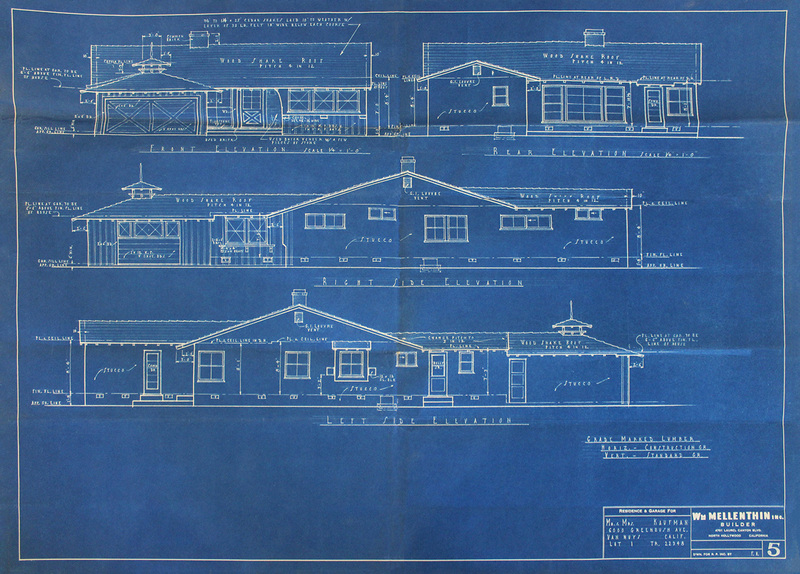 These are the original blueprints for one of Mellenthin’s homes, built in 1957. 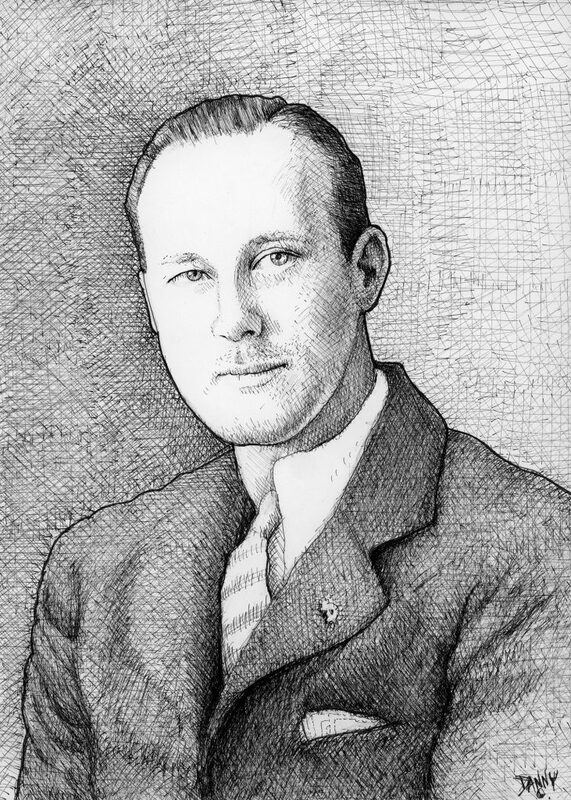 The plans were drawn by draftsman Frank S. Hickman. This beautiful baby blue Mellenthin Birdhouse was built in 1954. It features Mellenthin’s 3-Hole Cupola Birdhouse design, as well as floor-to-ceiling diamond-paned windows. Mellenthin believed that these windows were a great way to bring a little bit of the outdoors in. ​Mellenthin did not create the Birdhouse design, but he popularized the icon throughout the San Fernando Valley in the 1950s. The typical birdhouse structure sat on the roof of the home, accompanied by a finial on the very top. He built several variations of the Mellenthin Birdhouse homes, including the 3-Hole Cupola, 4-Hole Dovecote, and Deluxe Birdhouse. Mellenthin also built Alternative Birdhouses, which did not include a structure on the roof, but instead displayed bird holes cut into the front facade of the homes. The Birdhouse design was only one of Mellenthin’s signature features. 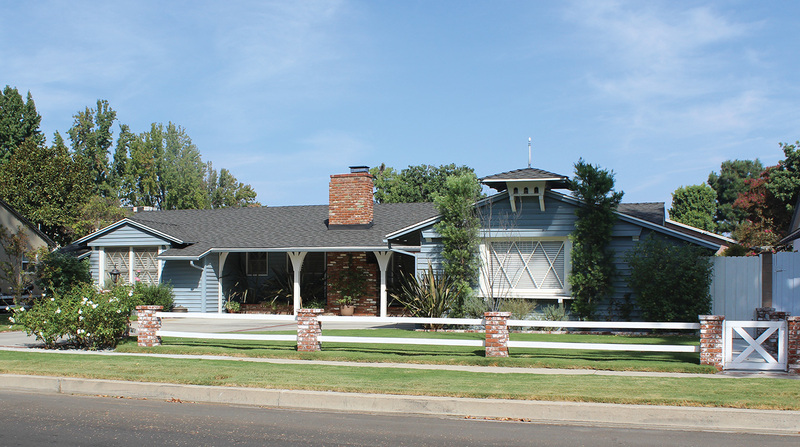 He believed that a home looked better with a low-roof line, which particularly complimented his one-story ranch homes. He frequently installed floor-to-ceiling windows, some rectangular-paned and others diamond-paned for further curb appeal. While his earlier homes were all one-story ranch houses, as his business grew he built grander, two-story homes with ample space for a garden or pool. Over the years, Mellenthin built homes spanning from the southeast to the northwest of the Valley. He put thought into the layout of every neighborhood. “He wanted to create something private—an escape from the real world, where neighbors could get to know each other, and everyone could feel comfy and safe,” says Chris. In one of his neighborhoods, he lined both side of the streets with houses, creating a total of eight cul-de-sacs. Yet, he only built two entrances into the neighborhood to avoid the through-traffic and provide privacy for its residents. William Mellenthin was born in Sleepy Eye, Minnesota on August 24, 1896. He later moved to Los Angeles to start his company, Wm. Mellenthin Builder. ​Mellenthin Birdhouse homes were considered to be both affordable and high quality. Although many of Mellenthin’s original homes have been torn down to make way for new real estate and development, an abundance of well-preserved and unrestored classics remain in the Valley. Chris says, “People really love these homes for their quality. His homes, which used to go for $25,000-30,000, can go for a million dollars today.” If anything, Mellenthin’s legacy grows stronger as more details about his past are uncovered over time. Mellenthin’s own son, Mike, continues with this line of work, as an engineer and builder himself.